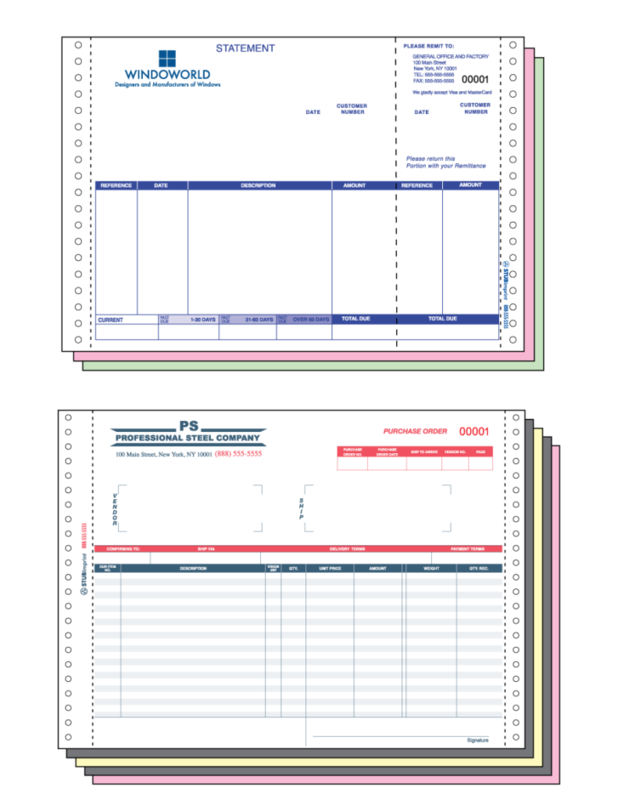 Short Run Forms has extensive knowledge of how to print continuous forms using the latest technology. 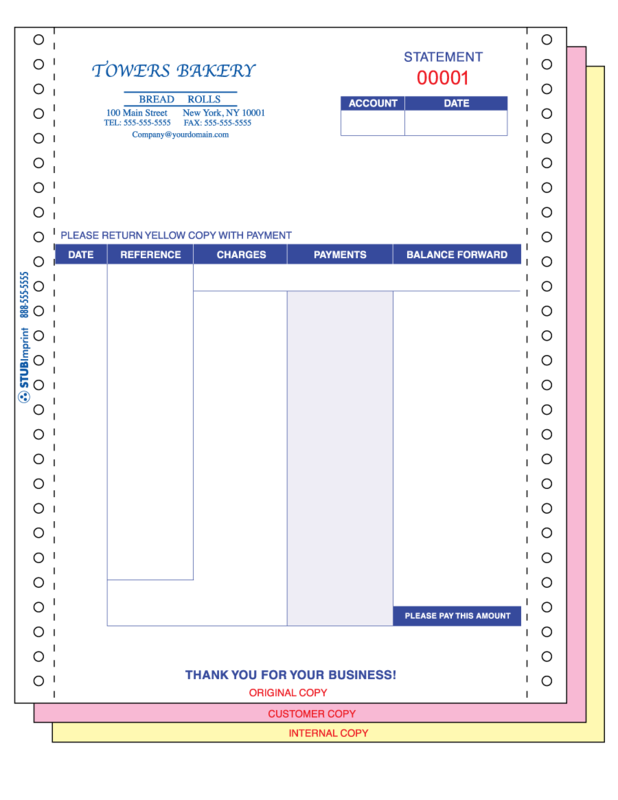 Let Short Run Forms help you optimize the look and feel of your business forms. Continuous forms, both carbonless & carbon-interleaved are available in a wide variety of sizes and configurations. 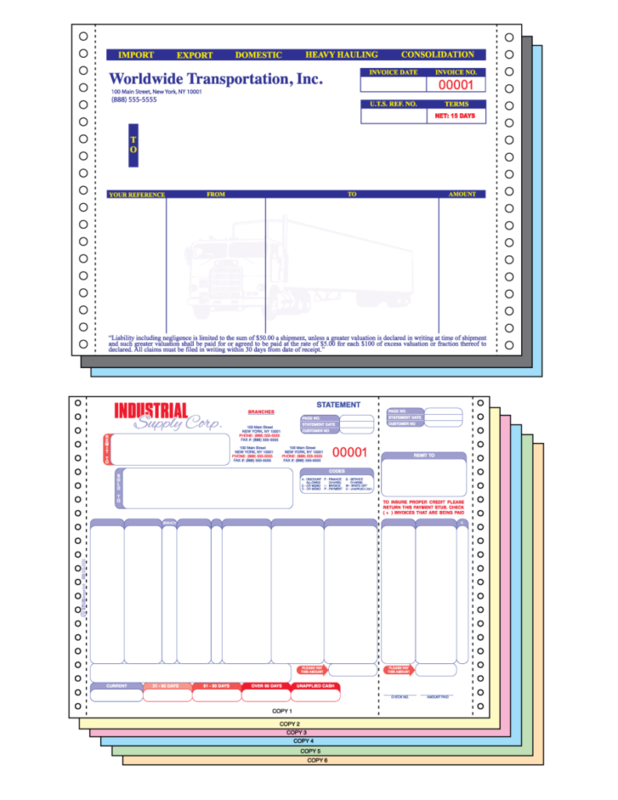 Although the printing industry is changing, continuous forms also known as “dot-matrix” forms or “pin-fed” forms are still very much in demand. 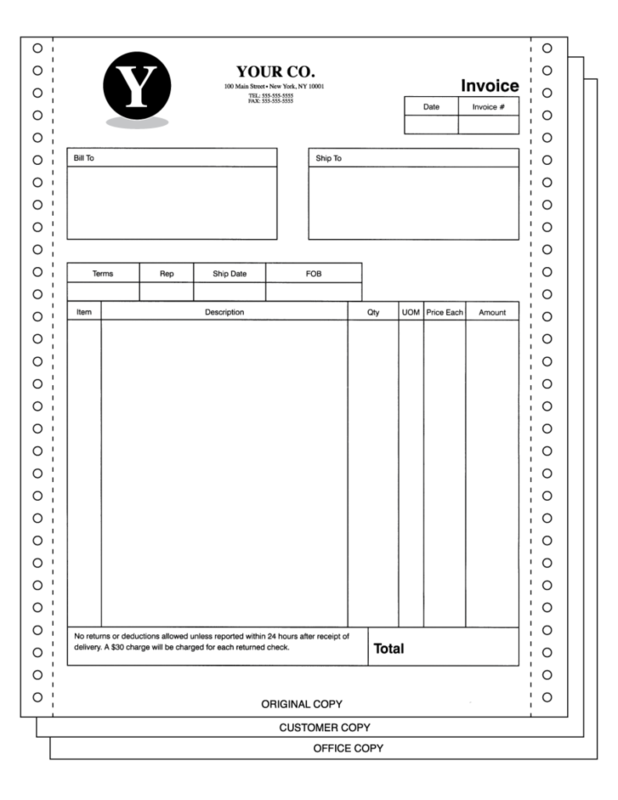 All continuous forms are printed to your exact specifications. Contact us today for a custom quote. Fastening – We can either glue or crimp the edges. All industry standard weights as well as popular heavyweights. Numbering up to 2 positions. Questions on additional features? Please call (631) 567-7171 for more info. Short Run Forms takes extra care in making sure the positioning on your continuous form matches your provided sample or previous run. We provide graphic design assistance to ensure appropriate bleeds, tick marks and other features are placed on your documents for errorless printing. Your continuous forms are customized to meet all your business needs. Short Run Forms places an emphasis on maintaining the continuity of your company brand. Your logo and print colors will look sharp and consistent with previous orders. 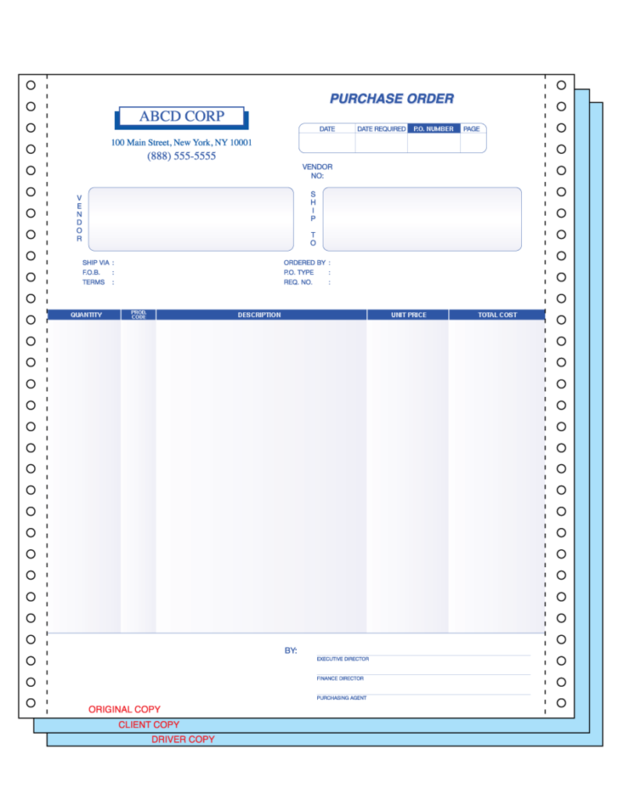 Order continuous forms from Short Run Forms with superior construction, consistent color from roll to roll, and high quality paper. 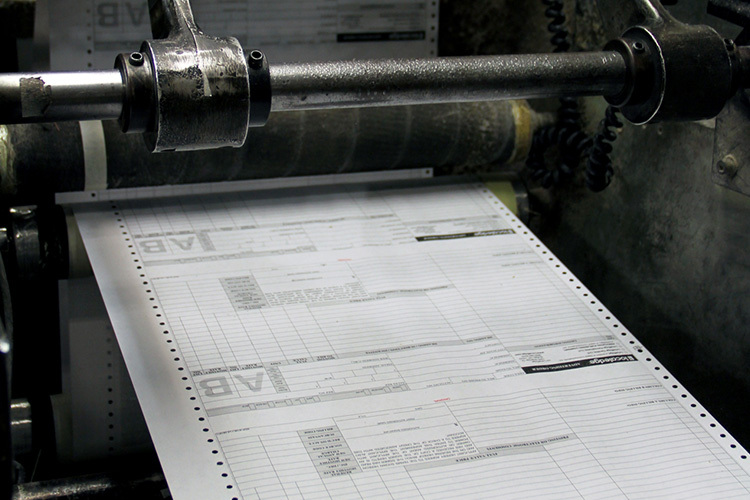 The quality control team inspects the printing of your continuous forms from pre to post production. Ask about our reordering process. Reordering is virtually effortless using our advanced online portal. 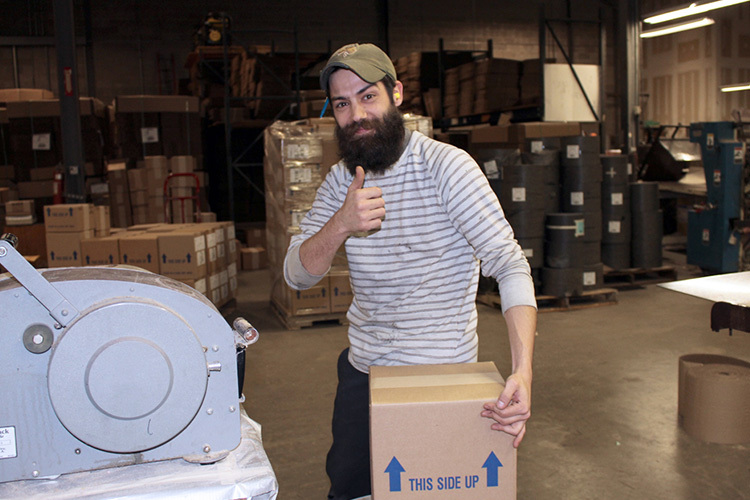 If you have unique needs for your custom continuous forms printing order, contact the Short Run Forms customer service department.